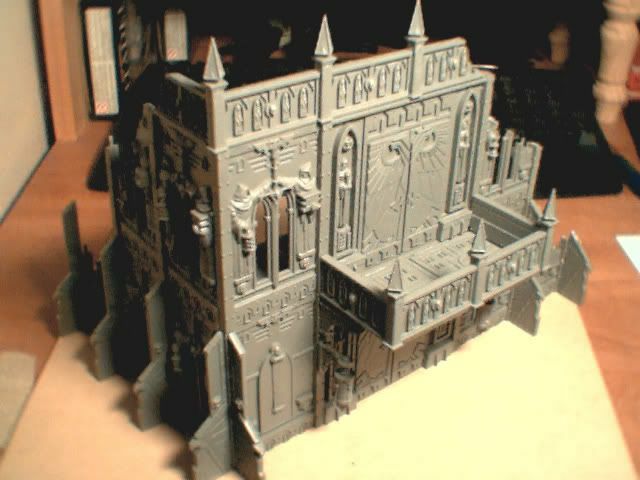 Alright, so I&#39;m picking up this guide partway through the assembly of my Cities of Death Buildings, having found the time away from school work to put together these awesome kits. 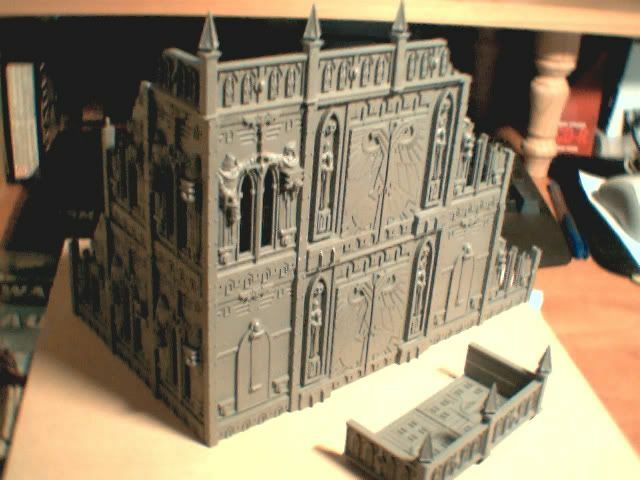 - I have the Cities of Death Boxed Set (and have had for a while.. it&#39;s been sitting around waiting for me to find some free time :S) - which containts a "Large" Basilica Administratum, and a "Regular" Sanctus Imperialis. 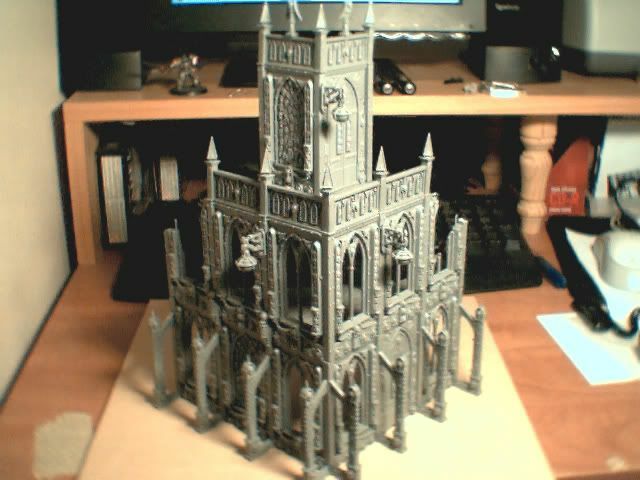 It it essentially two and a half building kits. 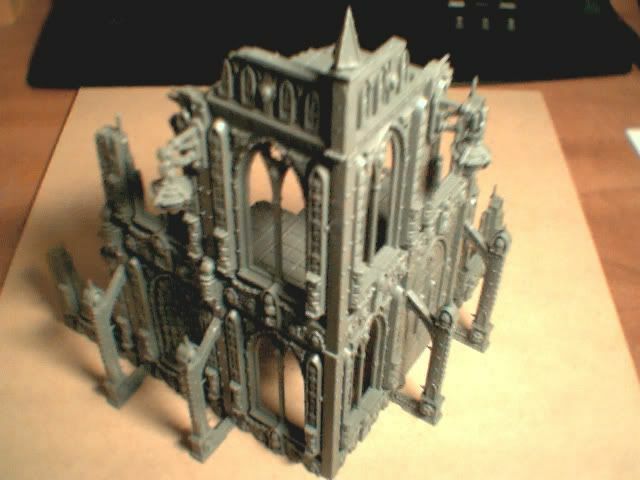 - The Large Basilica Administratum has 3 Basilica Sprues, and 2 "Floor and Extras" Sprues. 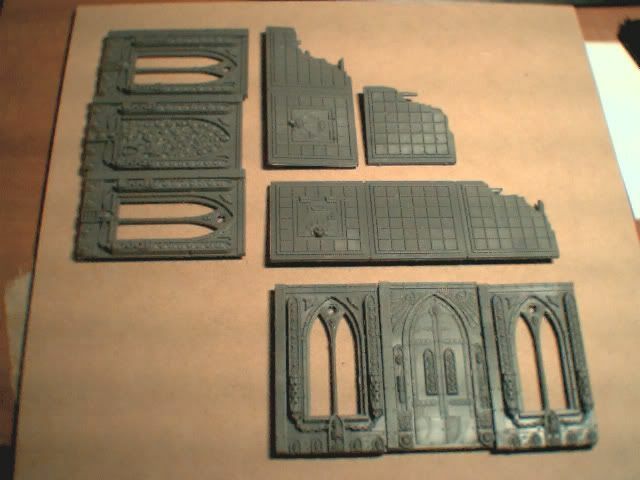 - The Sanctus Imperialis has 2 Sanctus Sprues and 1 "Floor and Extras" Sprue. This is an important step, if you want to build your own building rather than one based off the &#39;generic&#39; examples given in the construction sheet. Grab some spare paper, and just draw out the plan for the building. 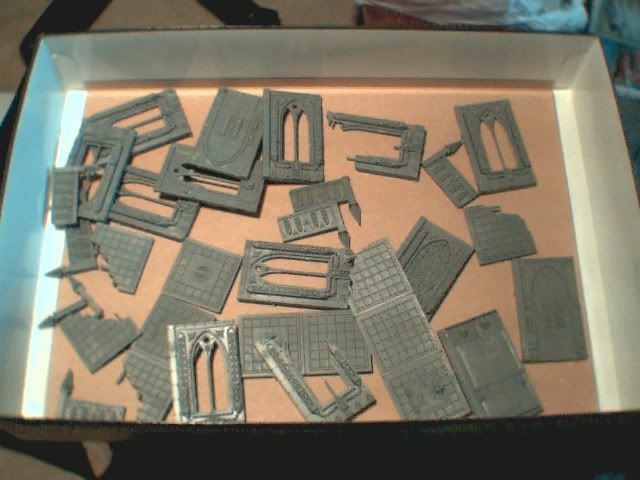 I&#39;ve just used a simple key, some rectangles to show the panels etc.. and I&#39;ve worked out a way to make the most of my building sprues - now able to make three buildings, and use most of the sprues and panels. The other important reason for this - is so that you don&#39;t suddenly run out of bits when you&#39;re constructing these buildings, especially if you&#39;re not making one of the generic ones. If you haven&#39;t already, cut out all the parts. 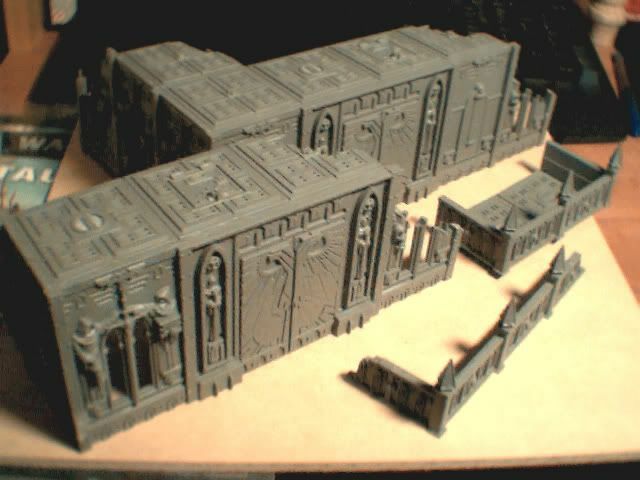 It might be a good idea to arrange the parts into groups for each building, if you have a boxed set that contains multiple buildings, like the Imperial City or Imperial Sector set. 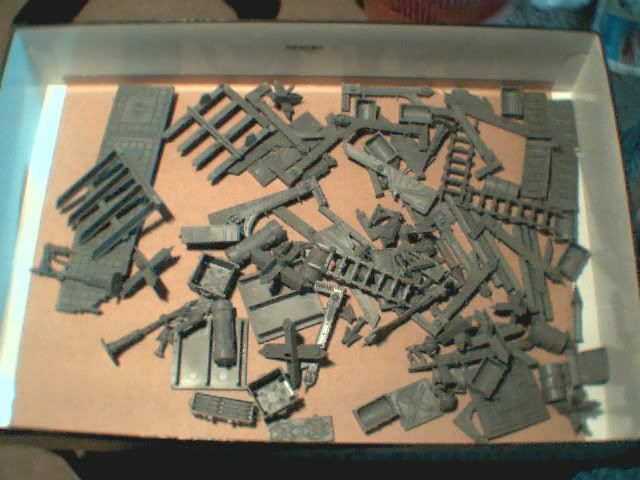 Also a good idea to file any areas where you&#39;ve cut the piece from the sprue, but other than that, there&#39;s surprisingly little mould lines on these kits, so not much to worry about there. For cutting the floor panels to size, just score (run a knife edge along it) along the boundary between the two panels, and gently apply pressure. If the plastic between starts to turn white, it&#39;s being stressed and starts to break apart. If not, score it a few more times, and eventually you should be able to just easily bend it and it will break along that edge. 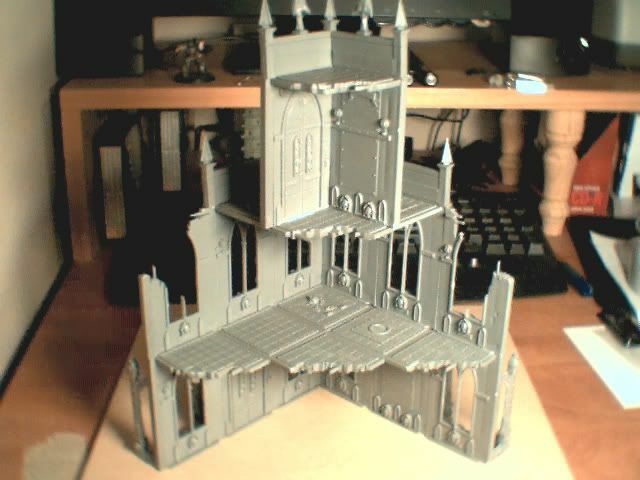 Dry fit everything together, firstly to help you visualise the layout, secondly to organise the parts so you can methodically construct the building, and lastly to make sure you have everything and it all fits together. Separating the parts for each building into the relevant storey&#39;s would help speed up construction later on. Note: Make sure you have a flat surface of suitable size to start construction on! 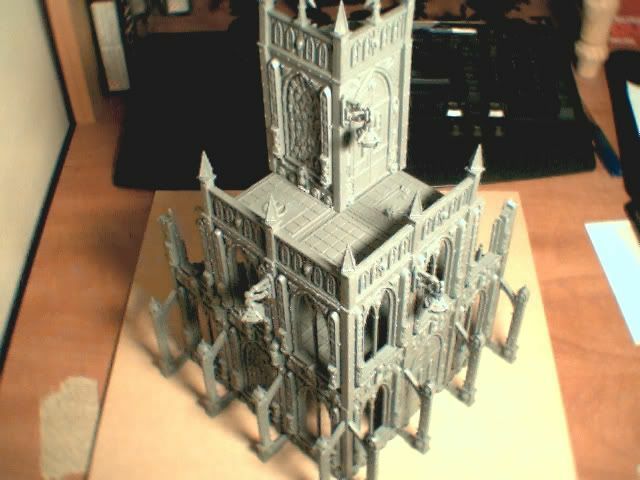 Even if you don&#39;t want to put the building on a base, better off to make it level for placing it on a gaming table etc. It would probably be a good idea to build each storey separately, ensuring it fits together with the one under it. Start off at a corner for the lowermost level, and build that level first. Then you can either build the next level directly on top of it (this is suggested! ), or use the top as a guide so you can set it aside to dry, and repeat the process for the next level (start at a corner, and build outwards). Make use of the floor panels to ensure the corners are "square" and that it&#39;s all lined up and stable as the glue dries. These are a bit harder to construct.. Basically just follow the instructions in the sheetlet included with each building set, and then make sure you trim or file down any of the floor tiles, as needed, so that it can fit flush with the building wall. 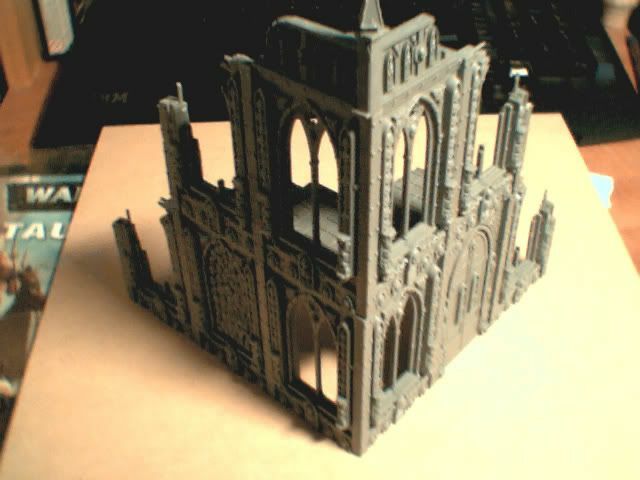 The one for my Sanctus Imperialis still needs a fair bit of work to get it to fit. 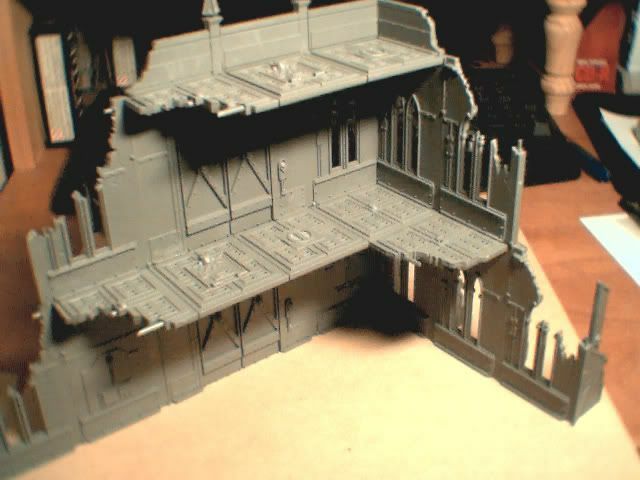 Apply details after the main building structure is assembled. 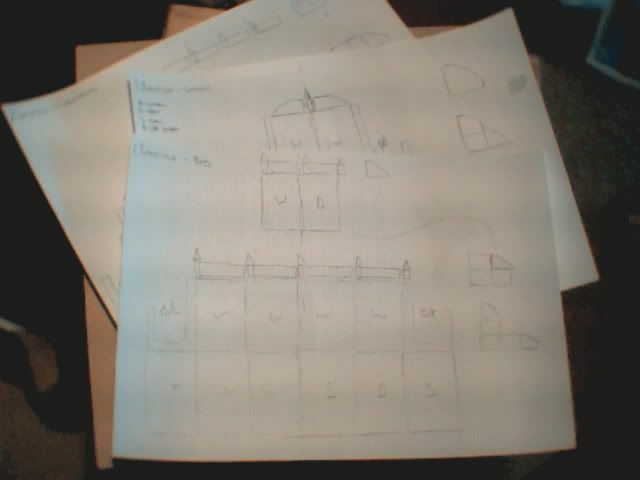 This would be - any exterior details, like the extension panels, lights, ladders, etc. 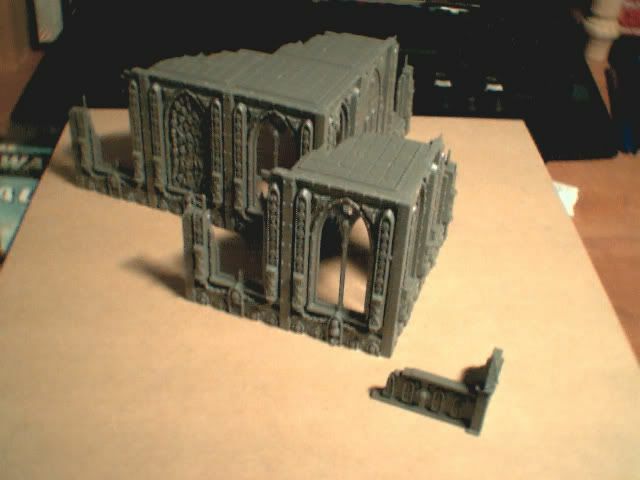 Which leads to the next section..
Front and back views, so you can see what was used.. Infact, all that I have spare are some building detail bits, and a few floor panels. 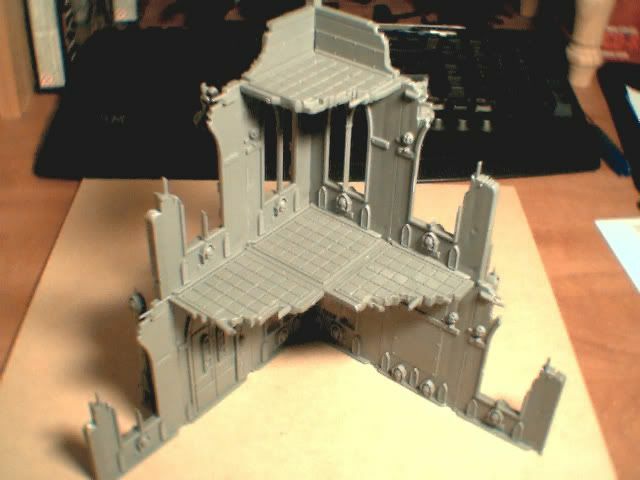 Enough to add another balcony if I want, but after the first one.. I doubt I&#39;ll be building any more without good preparation (e.g. a saw).